Why isn’t my baby sleeping through the night? 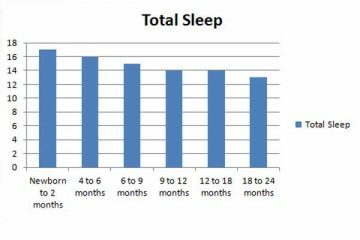 How Much Night Sleep Should Baby Get? My Baby Won’t Nap. Help! Wouldn’t it be great if there was a chart you could follow that would tell you when to feed your baby and how long for? And wouldn’t it be even better if your baby understood the chart too and knew when their next feed was coming and could patiently wait for it? I’m afraid no such thing exists! Before she was born your baby fed around the clock with no effort on their behalf. Newborns are not used to schedules and their body does not know how to regulate itself to only get hungry every three or four hours. All breastfeeding experts will tell you that you should feed your baby when they are hungry. Not only does your baby need your milk in order to thrive, but your body needs your baby’s sucking action in order to product more milk. I can certainly relate to the anxiety that breastfeeding a baby can cause though. One day they seem like they are feeding every day exactly every three hours, and the next day they want to feed every couple of hours, sometimes every hour. But, this is normal! Do you ever have days where you’re more hungry than others? Do you sometimes want to snack more than other days? Or have a bigger lunch or dinner? Your baby is exactly the same. Only their metabolism is also trying to figure itself out and their little bodies are growing at an extraordinary rate, which also complicates things. How Often Do Newborns Feed? As a general rule (not a hard and fast rule that applies to every baby all the time) a newborn will breastfeed every 2-3 hours. And it takes on average around 40 minutes for a full feed, but it can take up to an hour. By the time your baby is five months old, they will generally have stretched this to 4 hours. But at about this time solid foods are introduced so ‘eating’ times go back to around 3 hours. What if My Baby Wants to Feed More Often? 1. Are they getting a full feed. Newborns often fall asleep at the breast and don’t get a full feed, which means then tend to snack every hour or two rather than go for a longer 2-3 hour stretch. Try to keep them awake long enough to get a full feed. But, if you can’t keep them awake, don’t worry. By around 3-4 weeks of age newborns tend to ‘wake up’ and are less sleepy. This won’t last forever! 2. Are they really hungry? New mothers can sometimes confuse the crying cues of their babies. Most often tiredness is confused for hunger. If your baby has been awake for an hour or more they are probably tired and need to sleep. 3. Are they going through a growth spurt? Growth spurts can throw parents for a six and totally confuse their world. Growth spurts don’t last long and after a few days everything will be back to normal. 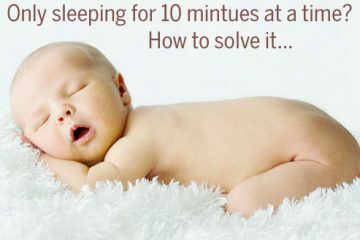 How Much Sleep Should Baby Get? Moms and Dads who visit this site are looking for help with their infant’s sleeping routines and eating schedules. They may have read or been interested in The Baby Whisperer by Tracy Hogg, The No Cry Sleep Solution by Elizabeth Pantley, Save Our Sleep by Tizzie Hall, The Contented Baby by Gina Ford, Babywise, or perhaps are struggling practically or emotionally with implementing a routine. On this site we respect that everyone has different beliefs about child rearing and every family needs a different approach that suits them. Overall, we promote gentle methods that lead to a more contented household.